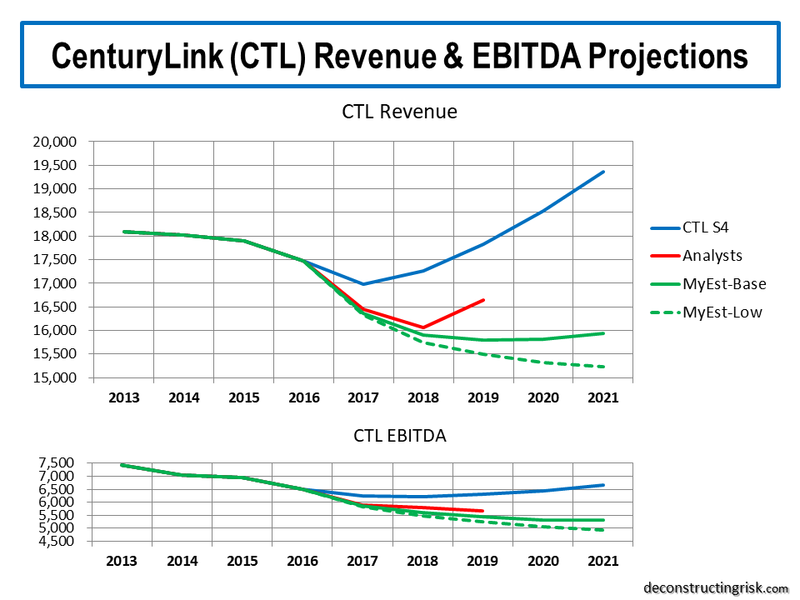 I don’t do this often but as I am travelling this week I thought I’d give some predictions on the Q4 announcement from CenturyLink (CTL) due after market close this Valentine’s Day. As my last post on the topic in August stated, I am taking a wait and see approach on CTL to assess whether enough progress has been made on the integration and balance sheet to safeguard the dividend. 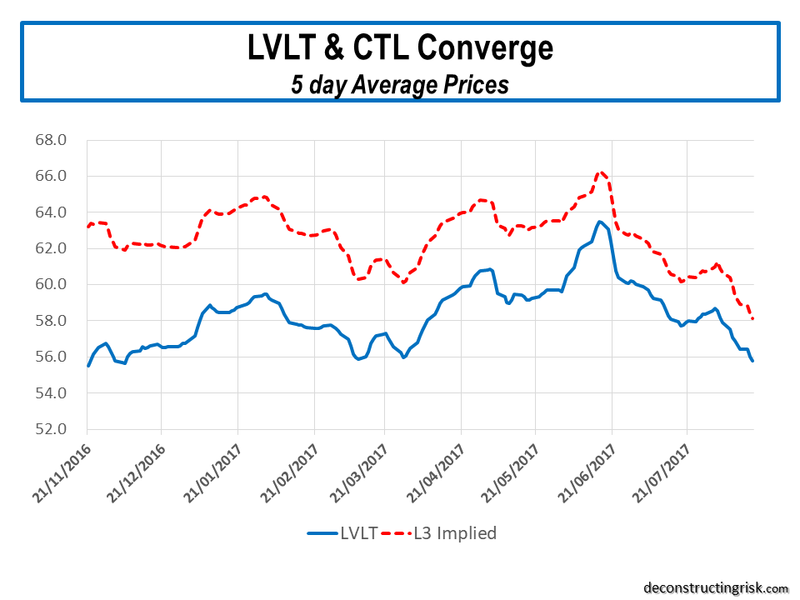 Although CTL is down 15% since my last post, the history of LVLT has taught me that extracting costs from a business with (at best) flat-lining revenue will be a volatile road over the coming quarters and years. Add in high debt loads in an increasing interest rate environment and any investment into CTL, with a medium term holding horizon, must be timed to perfection in this market. 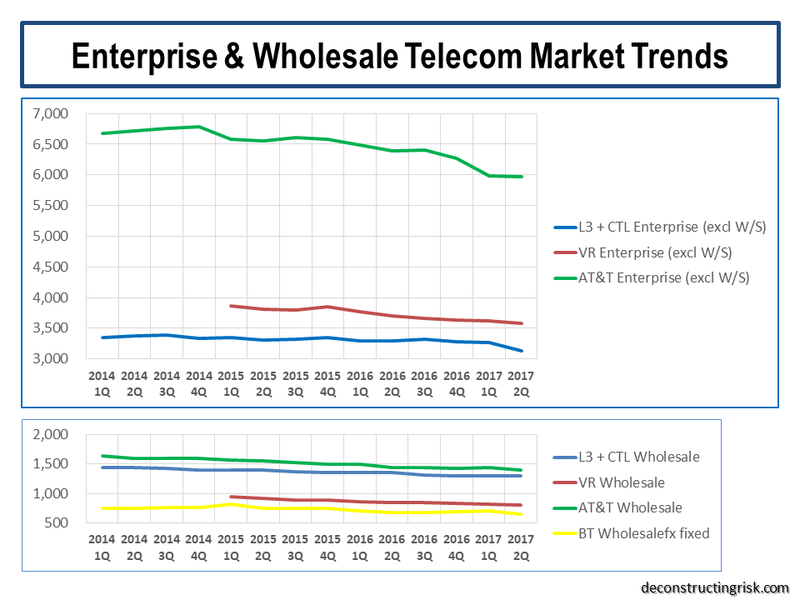 The actual results for Q4 matter little, except to see revenue trends for the combined entity, particularly as according to their last 10Q they “expect to recognize approximately $225 million in merger-related transaction costs, including investment banker and legal fees”. They will likely kitchen sink the quarter’s results. The key will be guidance for 2018 which the new management team (e.g. 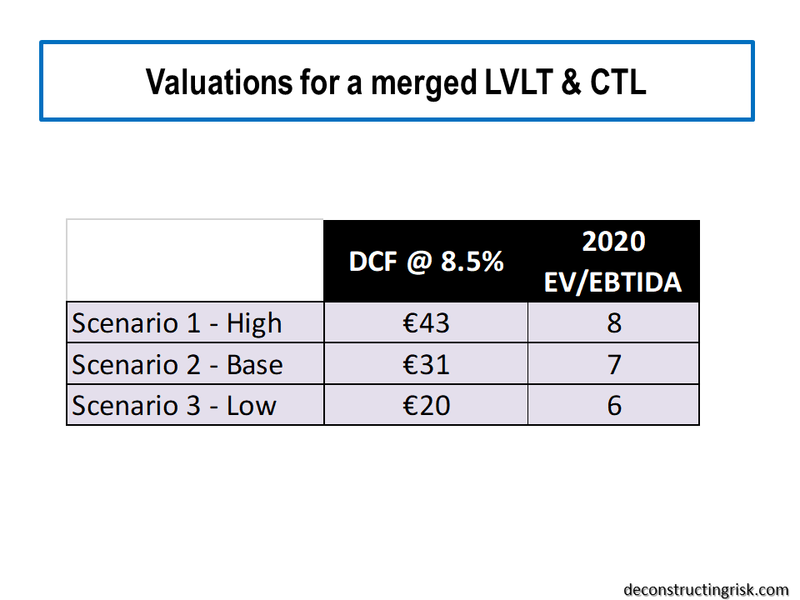 the old LVLT CEO and CFO) have cautioned will only be the 2018 annual range for bottom-line metrics like EBITDA and free cashflow. 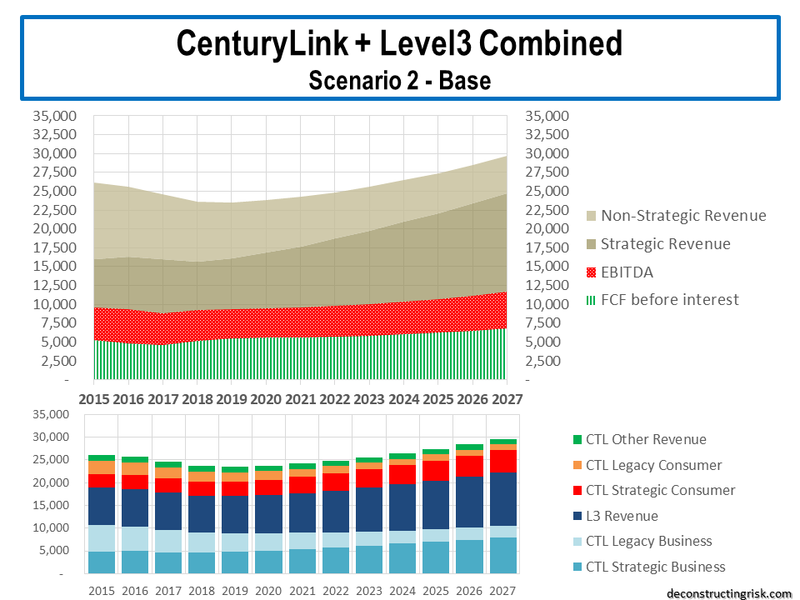 Although many analysts know the LVLT management’s form, it may take a while for the wider Wall Street to get away from top line trends, particularly in the rural consumer area, and to measuring CTL primarily as a next generation enterprise communication provider. At a recent investor conference, the CFO Sunit Patel gave some further colour on their targets. 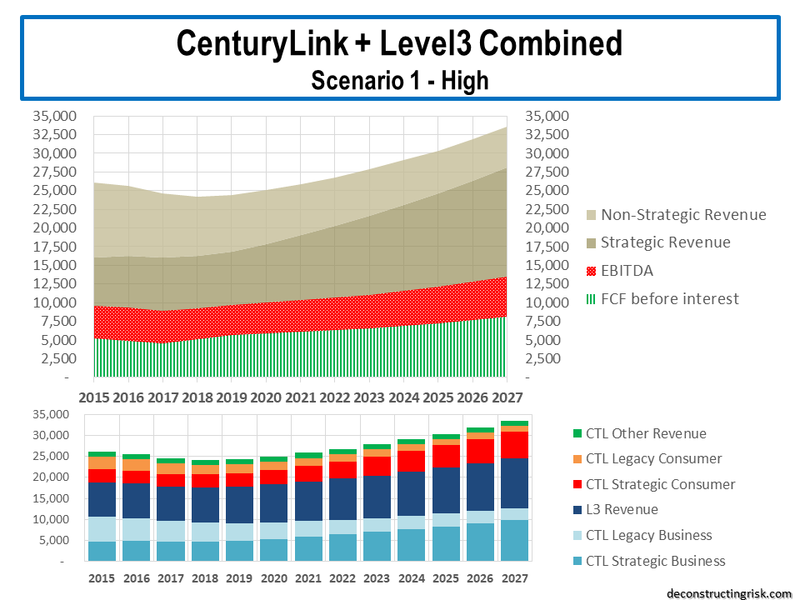 Capex would be set at 16% of revenues, the target for margin expansion is 5%-7% over the next 3 to 5 years reflected cost synergies coming into effect faster than previously indicated, and they will refocus the consumer business on higher speeds “more surgically [in terms of return on capital] in areas that have higher population densities, better socioeconomic demographics, better coexistence with businesses and where wireless infrastructure might be needed”. 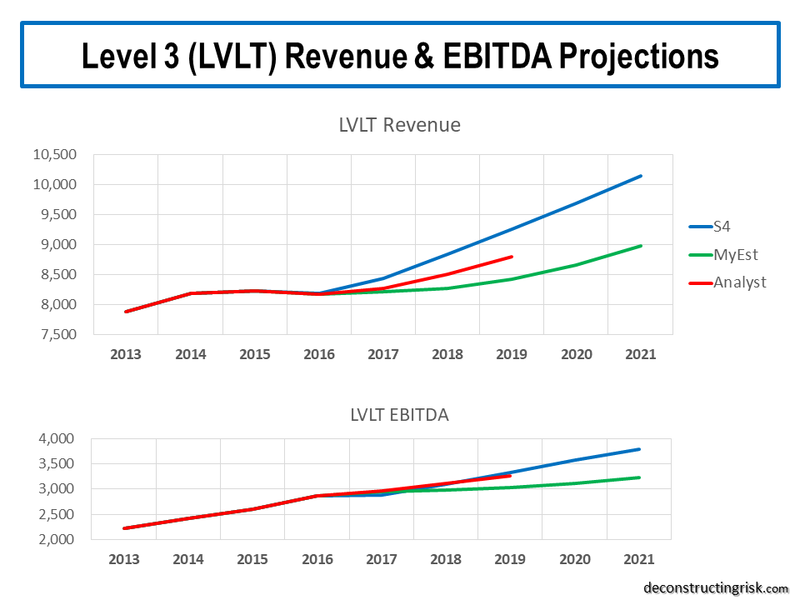 Based upon these targets and assuming average LIBOR of 3% and 4% for 2018 and 2019 respectively plus a flat-line annual revenue for the next 3 years (although a better revenue mix emerges), I estimate a valuation between $20 to $25 per share is justified, albeit with a lot of execution risk on achieving Sunit’s targets. On guidance for 2018, I am hoping for EBITDA guidance around $9.25 billion and capex of $4 billion. I would be disappointed in EBITDA guidance with a lower mid-point (as would the market in my view). I also estimate cash interest expense of $2.25-$2.5 billion on net debt of $36-$36.5 billion. Dividend costs for the year should be about $2.35 billion. Wednesday’s result will be interesting, particularly the market’s assessment of the plausibility of management’s targets for this high dividend yielding stock. There is plenty of time for this story to unfold over the coming quarters. For CTL and their people, I hope it’s not a Valentine’s Day massacre. On the EBITDA margin, to your question, I think, in general, we continue to expect to see the EBITDA margin expand nicely over the next 3 to 5 years. I think we said even at the time of the announcement that with synergies and everything pro forma, we should be north of 40% plus EBITDA margins over the next few years and we continue to feel quite confident and comfortable with that. So I think you will see the margin expansion in terms of the basis points that you described. I will go through the figures (and maybe the 10K) to revise my estimates and post my conclusion in the near future.